If you are a regular follower of this blog you must be aware that through this blog, we are trying to create an awareness about organic gardening. We have discussed quite a few organic gardening techniques in the past. Did you know that by simply changing the arrangement of planting crop you can increase its productivity without adding any fertilizers? You can check out other simple techniques such as how to attract pollinators in your garden. How to add soil fertility without adding any chemical fertilizers etc. Today’s topic different types of pollination. With increasing amount of pesticides in modern agriculture, it is becoming more and more relevant that we know how plants pollinate in nature and what are the different types of pollination. This simple knowledge will equip you in changing some nitty-gritty in your own garden. Every change towards going organic counts how minute that might be. This article is all about plant pollination techniques. so let’s begin. Each flower has a well developed reproductive system. If you look closely, you will find female part of the flower hidden inside whereas the male part faced outside. Pollens are sometimes built with protective covers for facing hostile journey outside . After traveling quite a few distance and once they find a receptive female organ, the pollen grains unite with the female part of flower by creative a pollen tube and form a fertilized seed. This process is called pollination. This is more of a basic kind of pollination process. Here the pollination process needs just one flower to complete. The pollens do not need to travel any distance. They meet with the female part of the same flower. In plants such as tomatoes, beans, and peas this type of pollination is very common. A little bit shake can result in pollen grains fall directly onto the stigma of the same flower. 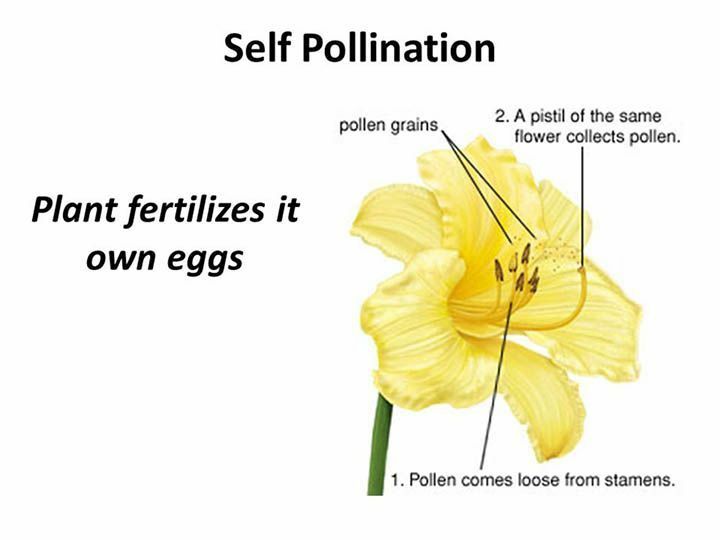 Self-pollination is simple and quick. It can happen with a little blow of wind or with visits of the buzzing insects. If you find your tomatoes or beans and flowering normally but not bearing fruits you know a lack of pollinators may be the reason. With a simple understanding of how to attract pollinators in your garden, you can usually solve the problem. This is a much more complex process. In cross-pollination, you need to have more than one flower. Here the pollen grains transfer from one flower to another with the help of various agents and finds the female reproductive part of another flower. Now, plants need to have some strategies to transfer the pollen from one flower to another flower. There are various agents who help them achieve just that. Here are some examples. Most of the plants use insects to complete the pollination process. 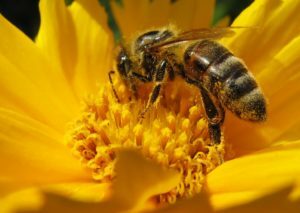 Nearly 35 percent of the food crops need repeated visits of the insect pollinators (bees, butterflies, wasp, ants etc). As these insects move from one flower to another, pollen grains from one flower transferred to the female part of another flower. As this type of pollination needs long distance traveling, plants also adopted some specific changes to comply the needs. These pollens are generally sticky and plant flowers are bigger and brighter in color for attracting the insects. In some cases, flowers have become so big that insects sometimes can hide inside the flower to get protection from predators like in the case of male squash flowers. Flowers in most cases have more than one ovaries sometimes in hundreds. To satisfy the need pollination sometimes takes repeated visits from the insects. Seed-bearing fruits such as strawberries need 15 to 25 visits by the insects. You can read more about insect pollination here. Some plants don’t need insect’s help to pollinate. They rather depend on wind to transfer their pollen to another flower. The pollens of these type of plants are generally very light and they produce them in very large quantity. Plants such corn, wheat, and other grains and different types of grass pollinate in this fashion. Wind pollinating plants can create pollen pollution. It can happen that your heirloom variety of cotton plant get polluted with some Genetically Modified cotton pollen. Now if your garden has very few pollinator-friendly flowers you can increase the likelihood of pollination by using hand-pollination techniques. Use some feather or paintbrush to gently swirl around the stamen of the male flower. 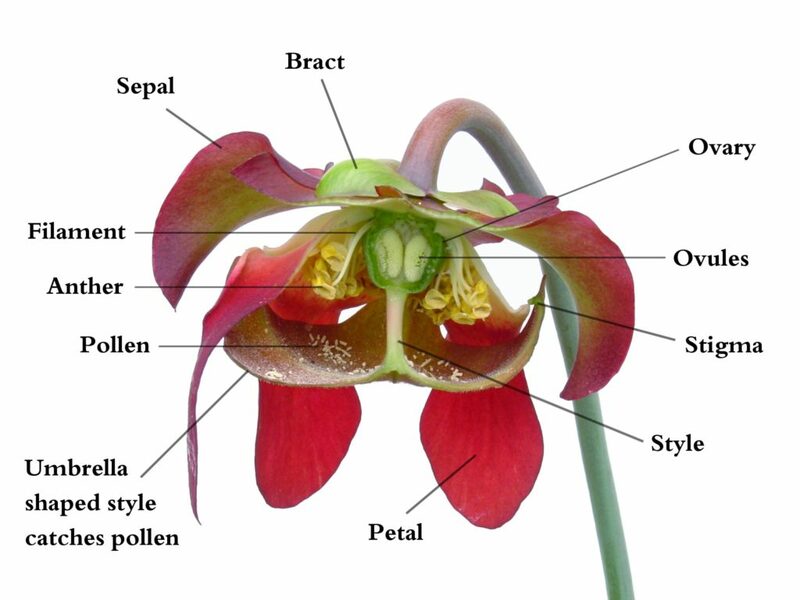 then use the collected pollen to brush onto the stigma of the female flower. It is best to collect pollens from multiple male flowers in this process. Hope you like the article. Use the comment box below to post your comments and queries.